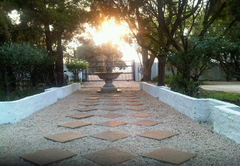 Die Ou Pastorie is a 4 star graded guest house offering Skeerpoort accommodation in 8 guest rooms. 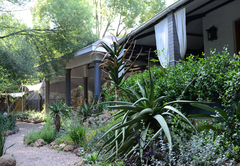 Die Ou Pastorie is a unique guest house and restaurant situated in Skeerpoort, Magaliesberg. 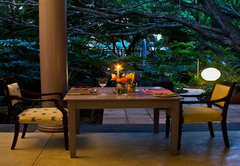 Guests are invited to explore the myriad pathways of our garden, interspersed with secluded groves and seated vistas, before delighting in a sumptuous meal served in the original pastor’s home. 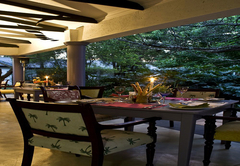 The restaurant offers traditional Italian and South African cuisine, cooked slow with a twist, according to the tenets of relaxed eating. Our menu’s are constantly changing to provide diversity to delicious meals. Our Sunday buffets or tailor-made menu’s suit functions of all kinds. 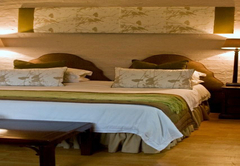 Guests of Die Ou Pastorie are accommodated in eight individually appointed garden suites, all with views of the Magaliesberg Mountains. Each suite follows a unique theme, with funky, mismatching light fittings, materials and décor providing an eccentric yet welcoming ambience. 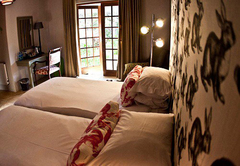 All rooms are en-suite with private balconies, and embody both the serenity and vibrancy of Die Ou Pastorie. At Die Ou Pastorie, food is a philosophy. Chefs combine the flavours and diversity of Italian cooking with traditional South African dishes to create a fusion menu that is decadently different. We believe that good food should be cooked slowly, with all produce being sourced locally and seasonally. 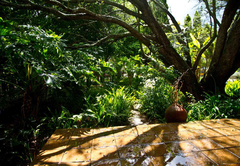 To this end, Die Ou Pastorie is closely entwined with neighbouring farmers, ensuring that guests experience the full freshness and flavour of our community. 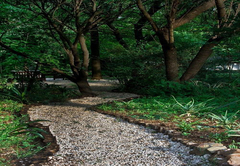 We have also begun and successfully run for 4 years now, the initiative of an ‘edible garden’, with vegetables and herbs of every description (including micro-greens) growing amongst the trees and flowers. We have recently become aligned with Slow Food, an international dining organisation, and have hosted a successful luncheon in their name, with an aim to showcase the food and produce of our community. 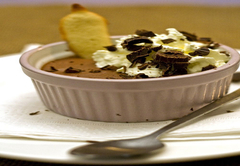 In addition to food served in the restaurant, Die Ou Pastorie also produces a tantalising range of homemade confectionary. 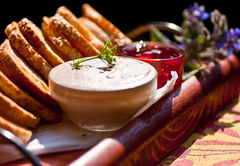 From famous chicken liver pate to a seasonal selection of jams, jellies and chutneys, from breadsticks to biscotti, guests will be able to take a piece of Die Ou Pastorie home. 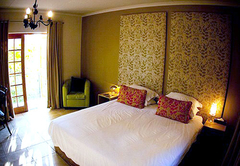 Deluxe Double room with all amenities. 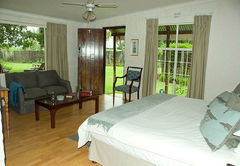 Rooms are spacious, en-suite with private balconies. 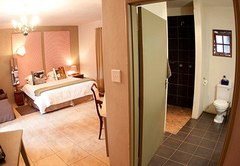 Rooms have air-conditioning and DSTV (Limited Bouquet), and hairdryers are available on request. 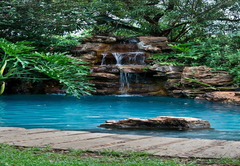 Easy access to gardens and large swimming pool. Family room with all amenities. 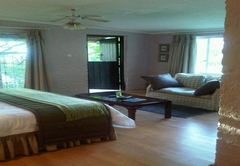 Rooms are spacious, en-suite with private balconies. 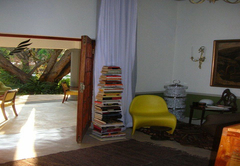 Rooms have air-conditioning and DSTV (Limited Bouquet), and hairdryers are available on request. Easy access to gardens and large swimming pool. An excellent weekend spent in a very hospitable environment. Fantastic food with wonderful service and really friendly staff. I will definately suggest this B&B for those looking to stay 1 or 2 nights. Response timeDie Ou Pastorie typically responds to requests in 5-10 minutes.